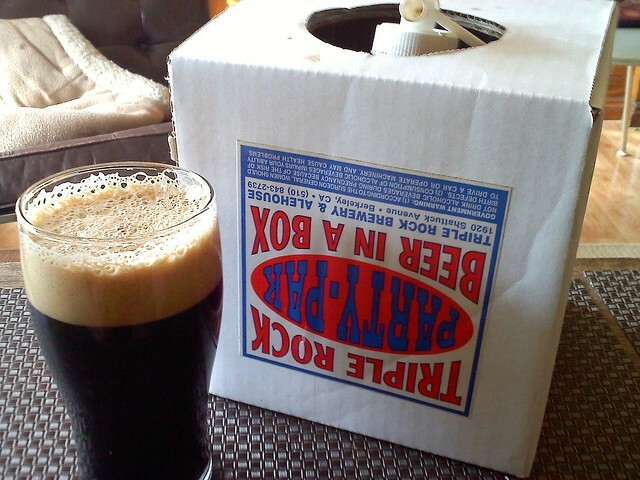 The sun is shining and I needed a stout for my stew, so I grabbed my Triple Rock Growler and headed North. Their version of a growler is a 1 gal. bladder in a cardboard box with a valve. Their version of a (Stonehenge) Stout is absolutely delicious. Spring is about to happen, any second, then I'll stop boring you with beer and be back to boring you with birds and bicycles and beauties and beer. Got a couple of bikes to show you but they're not quite ready.